The DHF is giving advice to local authority planners on security on high streets and shopping centres. This follows the city centre riots in the summer when looters were seen on TV ripping away shopfront shutters. The DHF recently took part in a seminar for planners and local council officials at the London Borough of Croydon council at which DHF was represented by Alan Starkey from DHF member company, Ascot Doors. Retailers are approaching DHF members asking for shopfront shutters that offer increased security. DHF advice is for them to initially approach their local council for advice on what types of shutter are acceptable to them. 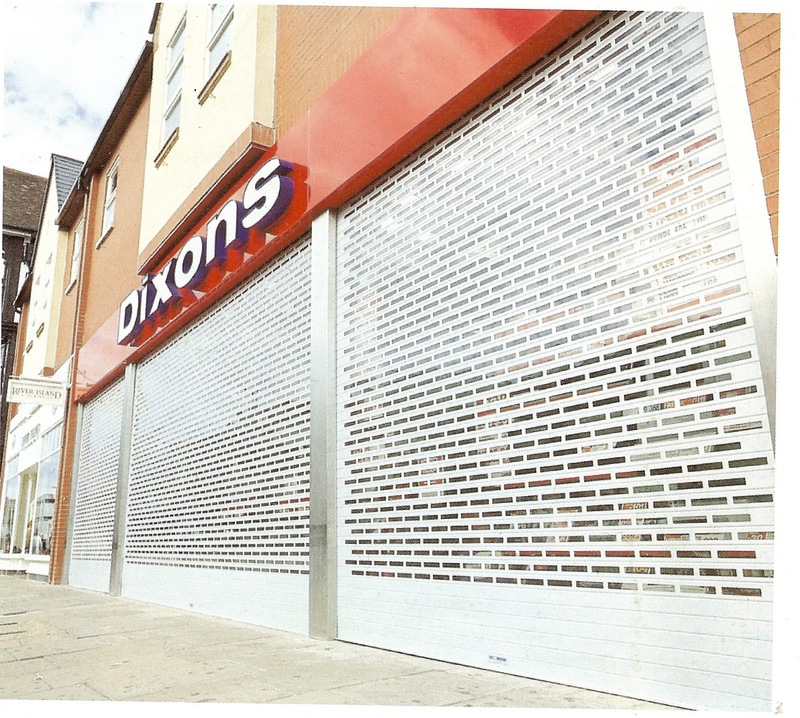 Many planning authorities will not give planning permission for heavy duty shutters in high streets and shopping centres on aesthetic grounds. 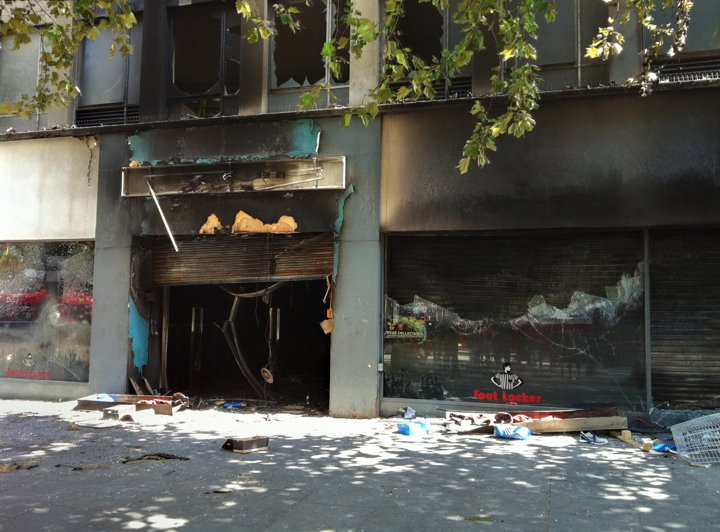 Indeed, the planning guidelines on shopfront security issued by the London Borough of Croydon state: "Where grilles and shutters are the only solution to deter criminal activity, the council will require such devices to be in character with the building and locality. Solid or perforated shutters, however well designed, will not be acceptable on the grounds that they adversely affect the character of a building and street scene, thereby contributing to an unwelcoming and hostile environment." Heavy duty shutters are available certified to the LPS 1175 standard which would give by far the best protection against attempts at forced entry. 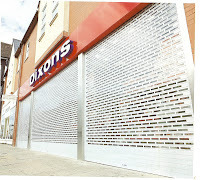 However, although councils would give permission for this type of shutter on industrial estates and business parks, they would be unlikely to allow them on shopping streets. At the Croydon seminar, Alan Starkey pointed out that too many cheap roller shutters often found on corner shops are often built down to a price not up to a specification. Shutters can be described as "security" shutters when they offer very little if any security against forced entry. As the shutters are made of steel, retailers think they must be strong and secure, so giving them a false sense of security. DHF advice to retailers is to go to a DHF member when choosing shopfront shutters. The DHF member will be able to advise them on achieving the right balance between security and aesthetics. The retailer should also liaise with the local planners. The DHF member will ensure the shutters are installed correctly and that the installer provides an operation and maintenance manual and a declaration of conformity under the Machinery Directive. The retailer should also ensure he has a service and maintenance plan in place for the shutters. They need to be maintained in accordance the DHF Technical Specification TS 004. Poorly maintained shutters are a health and safety risk. For more information visit www.dhfonline.org.uk . The DHF leaflet Be Sure, Specify Doors and Shutters From a DHF Member can be downloaded.